Netflix’s Chilling Adventures of Sabrina has a great cast full of up-and-coming stars. Many viewers of the Riverdale spinoff will remember Sabrina the Teenage Witch as a wholesome young teen played by Melissa Joan Hart, who used her supernatural powers for playing pranks or doing good deeds. It’s time to forget all of that. An Archie Comics character, Sabrina Spellman lives in Greendale, a neighboring town to Riverdale. 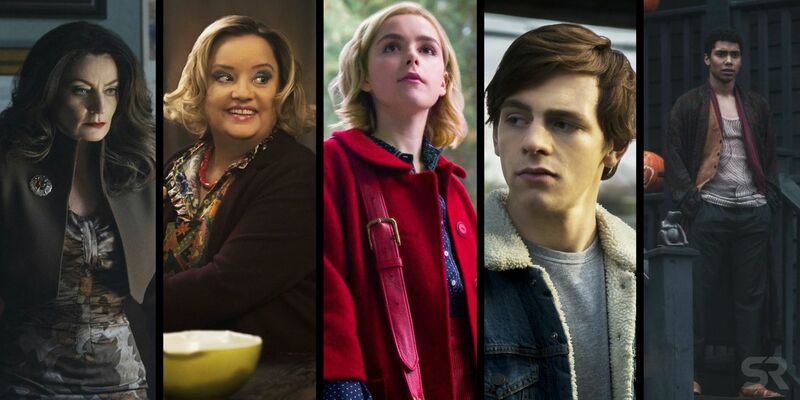 Netflix has described its new show as a “dark Rosemary’s Baby type adaptation,” and from the Sabrina trailers alone, it’s clear that this is a show that won’t shy away from its dark magic. A new imagining means new actors. If you’re curious who’s who in The Chilling Adventures of Sabrina, our handy cast guide should help you out. It’s safe to say that this version of Sabrina is a whole lot darker than her 90’s counterpart; less interested in chasing after Harvey and far more concerned with keeping her family and friends safe from the occult and dark magic that surrounds them. As a teenager, Sabrina must decide whether to come fully into her powers and commit to Satan, or to forgo her magical capabilities and live life as a mortal. Quite the dilemma for any 16 year old. She’s also navigating high school, of course, and the feelings she has for one boy in particular. Away from Sabrina, Kiernan Shipka has appeared in many TV shows, the most notable of which is her turn as Sally Draper in Mad Men. She’s also appeared in The Legend of Korra, as well as in Feud. Harvey is Sabrina’s main love interest and, as a mortal, he was a bit dumb in the 90s version. Not so now, though. Lynch’s version of Harvey is much more socially and politically aware, though he doesn’t know that there’s an issue in his family’s past which could make it difficult for a future relationship between him and Sabrina. Ross Lynch is best known for being a Disney Channel stalwart; he played Austin Moon in Austin and Ally for five years (a role which won him a sizeable fanbase) and Brady in both Teen Beach movies. He’s also a talented singer and musician, playing in the band R5 with the rest of his siblings. Sabrina is raised by her two aunts, who are also witches. Hilda is the sweeter of the two, although there’s definitely a twisted darkness to her and the character is far more complex than her 90s version. Her relationship with her sister is disturbing and very co-dependent; the two share some strange, twisted rituals (which we won’t spoil here, but it’s definitely worth checking out). Lucy Davis is a well-known actress, particularly in the UK, where she played the part of Dawn Tinsley in The Office. She’s also appeared in Shaun of The Dead, and Wonder Woman, among many other films. The other Spellman sibling, and Aunt to Sabrina, Zelda is even darker and more depraved than her sister. She’s a fully committed member of the Church of the Night, and her powerful magic, combined with her brash nature ensure she is feared by nearly everyone in Greendale. Miranda Otto has a long list of credits to her name, including roles in Rake, Homeland, and 24: Legacy, where she played Rebecca Ingram. The character of Mary Wardell, or Miss Wardell as Sabrina calls her, originated in Roberto Aguirre-Sacasa’s Sabrina comic (but didn’t appear in the original TV show). She is Sabrina’s favorite teacher, and acts as a mentor to her, but she also has a history with Sabrina’s father. Jilted by him many years ago, Mary Wardell is not as sweet and caring as she seems, and she’s aiming to take her bitterness out on Sabrina. By night, Mary Wardell is better known as Madam Satan, and while Sabrina struggles with choosing dark magic or life as a mortal, Mary is all for luring her over to the darkness. Michelle Gomez is a prolific television actress, and most noted by a global audience for playing Missy in Doctor Who. She’s left that role behind, although she’s still playing a character who struggles to make the right choices. Rosalind is another character who stems from Sacasa’s comic. She’s the daughter of Greendale’s minister and is said to be outspoken and brash. She’s also Sabrina’s best friend. So, local teenage witch and minister’s daughter become BFF’s; what could possibly go wrong? The friendship between the pair is sure to come up against some opposition from Rosalind’s dad. This is Jaz Sinclair’s biggest role to date. She’s made small appearances in Easy, The Vampire Diaries, and Rizzoli and Isles, among others. Another character from the Sabrina comics is Sabrina’s cousin, Ambrose. He’s originally from England, but has been banished to the Spellman’s funeral home and ordered to live under house arrest. There’s more to Ambrose than meets the eye; he’s a Warlock, and said to be Sabrina’s partner in crime, so we can look forward to some dark and mysterious dealings between the pair. 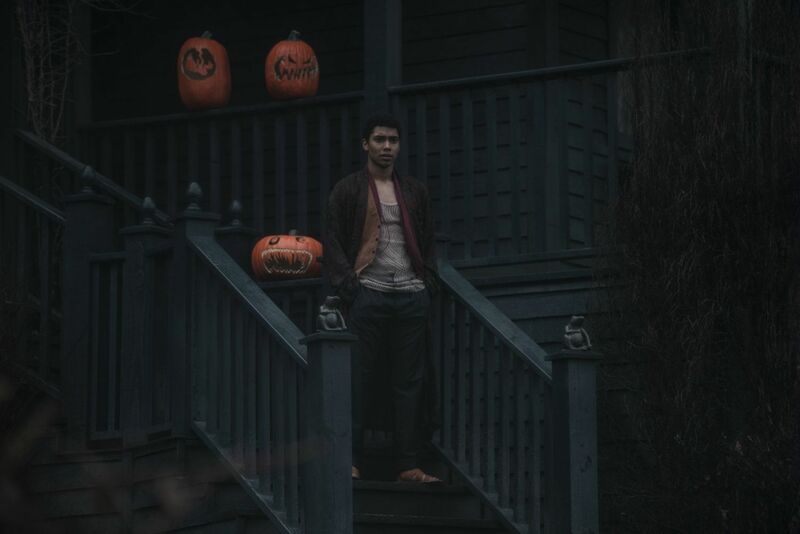 This is Chance Perdomo’s first major TV role. 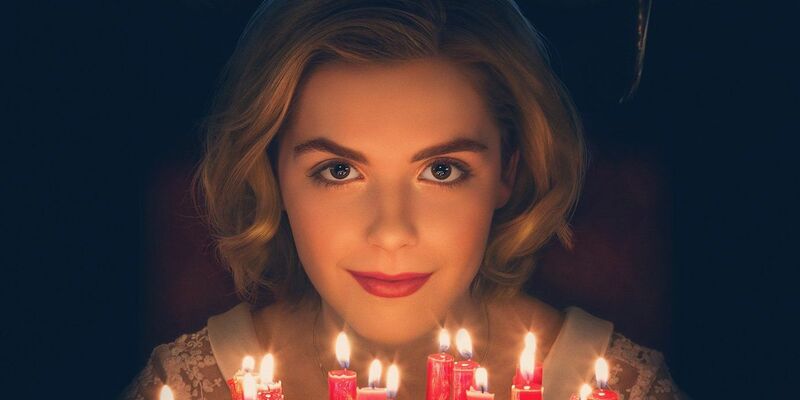 The Chilling Adventures of Sabrina is streaming now on Netflix.